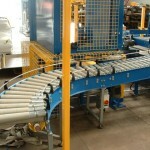 Modular Conveyors have released Round Belt & Poly-V driven rollers to suit a range of applications. Initially developed to enhance the drive capabilities of our Ø50mm 24VDC rollers, rollers fitted with these drive heads offer different drive options and capabilities. Manufactured from robust Nylon 6 and fitted with a sealed precision bearing the drive heads are available to suit 7/16” hex, Ø12mm & Ø10mm shafts. Round belt drive has historically been the standard drive method when slave driving rollers together and until the release of the new drive head this has been achieved by grooves in the roller tube. 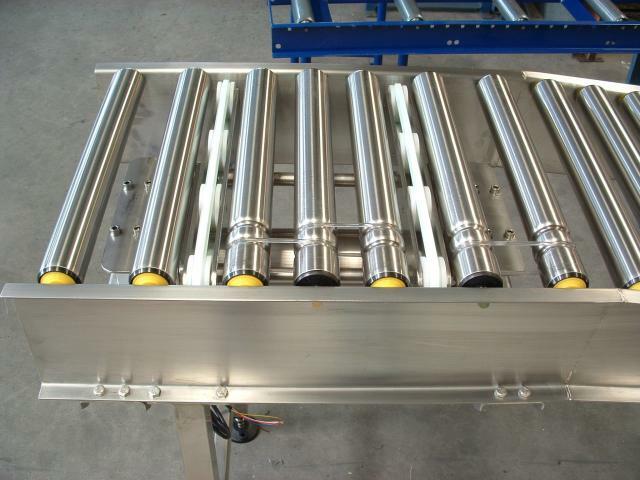 Conveyor rollers fitted with the Round Belt drive head and its matching twin groove maximise the transfer of drive and also keeps the belts at the end of the roller and away from product. The Poly-V drive head is a relatively new method of slaving and driving rollers and offers a drive system capable of transferring much higher torque than round belts. 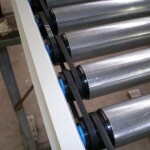 Once again the belts are kept at the end of the roller and away from product. This drive medium is capable of transporting heavy product loads. 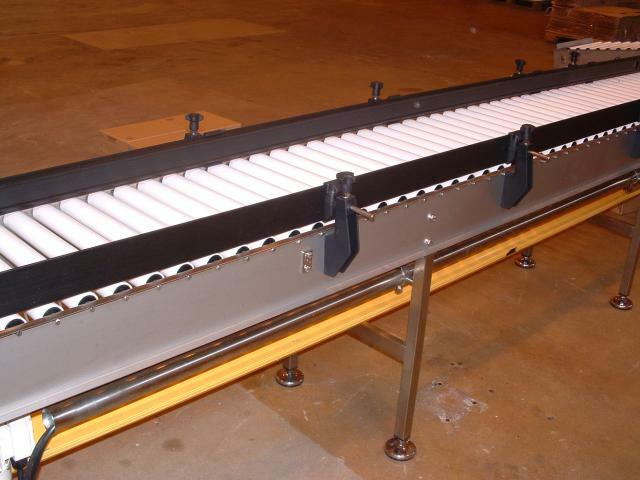 Modular Conveyors manufacture and offer conveyor rollers fitted with the drive heads and also installed as part of a conveyor module dependant on client and application requirements. Drive heads and belts to suit various roller pitches are also available as spare parts. 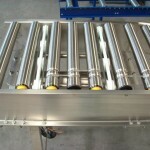 Modular Conveyors are pleased to offer their advise on these and other products as part of their conveyor service. Contact MCL for more information. MDR is a brushless 24 VDC drive, encompassed within a Ø50mm conveyor roller. 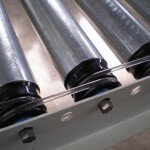 A variety of speeds options are available and can be incorporated in both galvanised and stainless steel rollers. 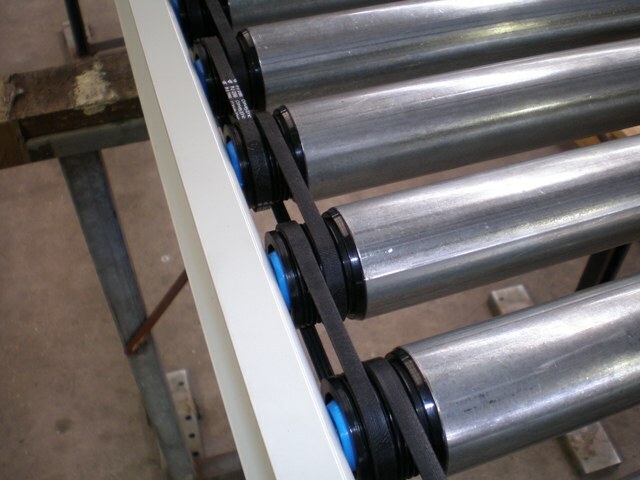 MDR can be used individually or zones can be created by coupling slave driven rollers. Zone lengths are dependent on application. These zones can be configured for basic transport mode or zero pressure accumulation of product. The MDR, with its internal brushless DC motor, represents an important break-through in conveyor technology. 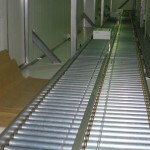 A very popular and economic form of powered roller conveyor is the BDR Conveyor. The drive mechanism consists of a motor gearbox driving a line shaft mounted under the conveyor frame. The line shaft has drive spools fitted along the length of the conveyor. These drive spools provide driving force to the conveyor rollers via polyurethane drive bands. 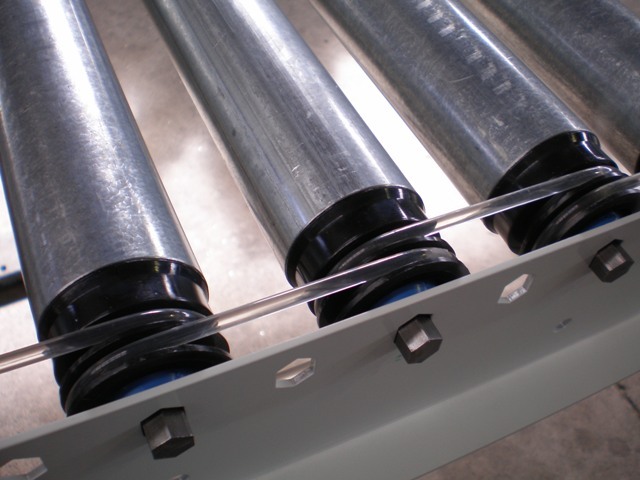 Materials selected for conveyor frame and roller construction are dependent on environment. 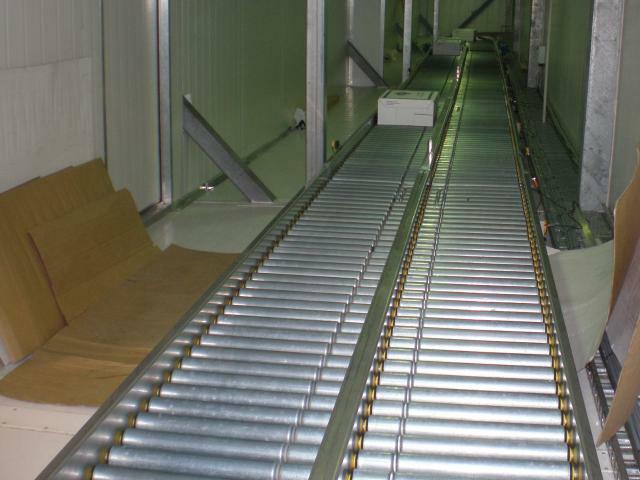 Typically powder-coated mild steel conveyor frames are matched with galvanised rollers and stainless steel frames are matched with either stainless steel or PVC rollers. 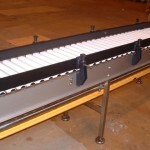 All BDR Conveyors include fitted plastic line shaft guards as an added safety feature. 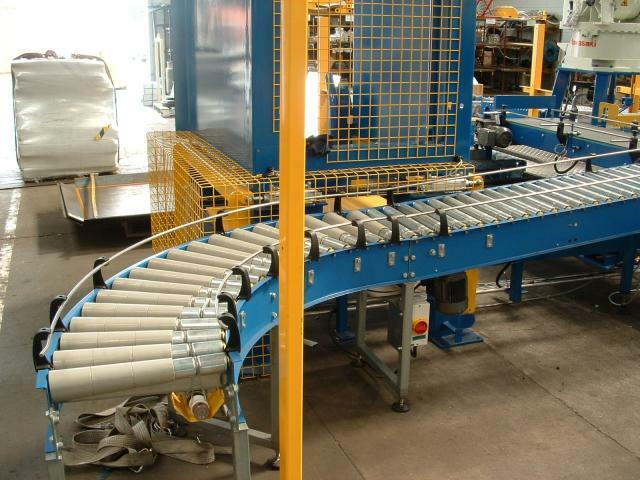 The BDR Conveyor range also includes modules such as bends, merges, diverts, pneumatic blade stops, chain driven transfers, pneumatic pushers, line breaks and personnel gates.